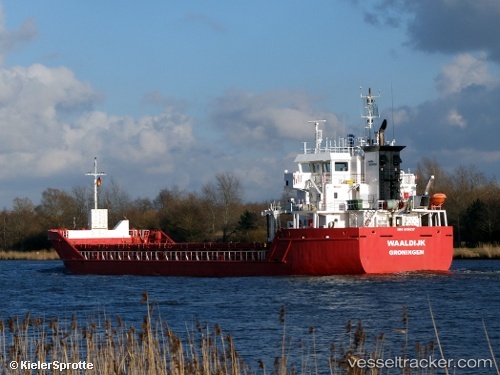 The "Waaldijk" ran into the south side embankment of the Kiel Canal at Kudensee in the morning of June 10, 2014. The tug "Luchs" was dispatched and refloated the vessel. It had passed the BrunsbÃ¼ttel locks at 7.40 a.m. and was bound for Gdansk with an ETA of June 13.